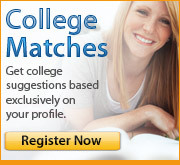 These days, you can approach the college search in a myriad of ways. From school websites and catalogues to online forums and college fairs, information is readily accessible (assuming you’re willing to conduct the research). While you can glean a great deal from the aforementioned options, nothing provides the same level of insight as a campus visit. However, before you hop into the car, there are a few things of which you should be aware. Just like in comedy, when it comes to campus visits, timing is an important factor. While you’re technically able to visit most schools year round, some months are definitely more advantageous than others. Though it’s not always possible, do your best to avoid visiting during exams, vacations or even special events like Spring Fling. Rather, it’s best to schedule a trip while the semester is in full swing. That way, you’ll see the campus in its most authentic state. Is the school bustling or sedate during the afternoon? Are students happily relaxing on the quad? Does it feel as if the entire undergraduate community has moved into the library? You want to ensure you’re getting a snapshot of a typical day for students. Virtually, all colleges and universities offer guided tours around campus. These are typically organized through the admissions office and usually hosted by a current student. Tours are a great way to get an overview of the school, see a number of campus highlights and have your questions answered by a potential peer (and someone who recently went through this same process). We should note that some schools require you to register for their tours in advance. Do yourself a favor and research the specific times and policies of the colleges you plan on visiting. After all, you don’t want to drive for five hours only to discover that you missed your opportunity. Of course, while the school sponsored tour is a terrific starting point, you should also think about venturing off on your own. Wandering around will certainly lead to a less “sanitized” view of the school. Perhaps more importantly, this will allow you to seek out aspects geared to your interests (and areas that the official tour might not have time to cover). Are you obsessed with music? See if you can visit the radio station. Do you want to study botany? You should head on over to the greenhouse. The more you explore, the more you’ll come to understand whether or not a particular college is a good fit. Touring colleges can be overwhelming, intimidating and even repetitive. Don’t fall into the trap of passively traipsing through the quad and zoning out while walking through the physics building. Maximize your time and experience by reaching out to people. Talk to students. Ask them how they feel about their school (they’re often insightful, honest and open). Sit in on a class. If you’re interested in playing a sport, see if you can meet with a coach. Grab a meal in the dining hall. Peruse a copy of the school paper. Read announcements regarding activities and events for the week. Better yet, many universities provide the opportunity to stay overnight with a student rep. You’ll join him/her for meals, classes and potentially even a party. Basically, you get to be a college student for a day. You will be able to gain insight in a more relaxed, less structured setting. And you’ll be able to escape your parents for over 12 hours. Bonus. In all likelihood, you do not have a photographic memory. While that certainly won’t impede your chances for success or happiness (in college or in life), it does mean you’re liable to forget some pertinent items, information and impressions. Moreover, your memories of various schools can easily blur together. Therefore, we strongly encourage you to bring a journal (even the most modest spiral notebook will do) and jot down notes throughout your visit. Did the dorm rooms seem small and musty? Were you bowled over by the equipment accessible in the chemistry lab? Did the students strolling through the campus seem outgoing and friendly? Your notes will help confirm/cement your recollections and you’ll discover how invaluable they are when trying to narrow down your choices. Though we understand that not everyone can afford the time or expense, if you have the means, we highly suggest making a trip or three. It’s a great introduction to college life and a good way to get some quick, direct answers to any lingering questions. Moreover, it’s an important opportunity to assess a school and gauge whether or not you can see yourself there. Of course, while you shouldn’t let a rainy day or a sub-par tour guide color your opinions too much, you’re likely to walk away with a gut reaction. And that gut reaction will prove beneficial when making decisions regarding your college list.